Identity theft costs businesses and individuals many billions of dollars each year. Most identity thieves obtain their information from traditional paper-based sources. Think prevention, not reaction. 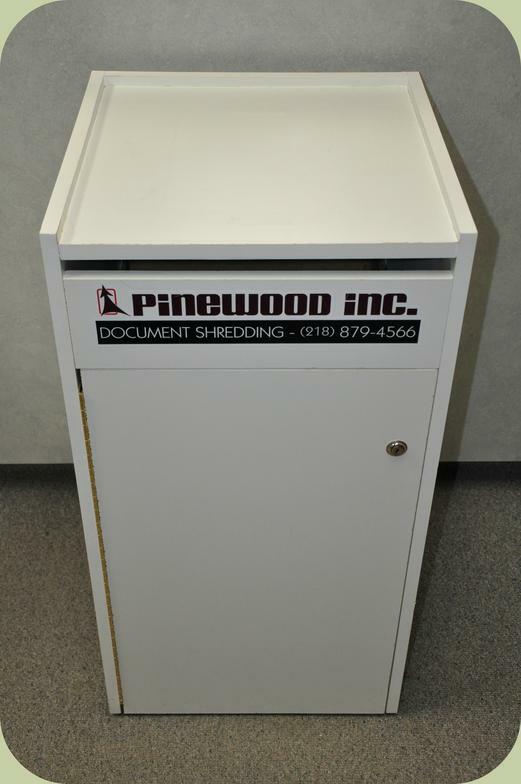 Pinewood Inc. provides businesses, government entities and private individuals with a secure, economical and effective way to dispose of their sensitive material, at highly competitive rates. Regularly scheduled or single-service visits. Design a revolving daily, weekly or monthly schedule with us to ensure that your documents are continually purged. Schedule a one-time pickup, whether for a single box or an entire warehouse full of material. Free pickup of material (most vendors charge an additional fee). 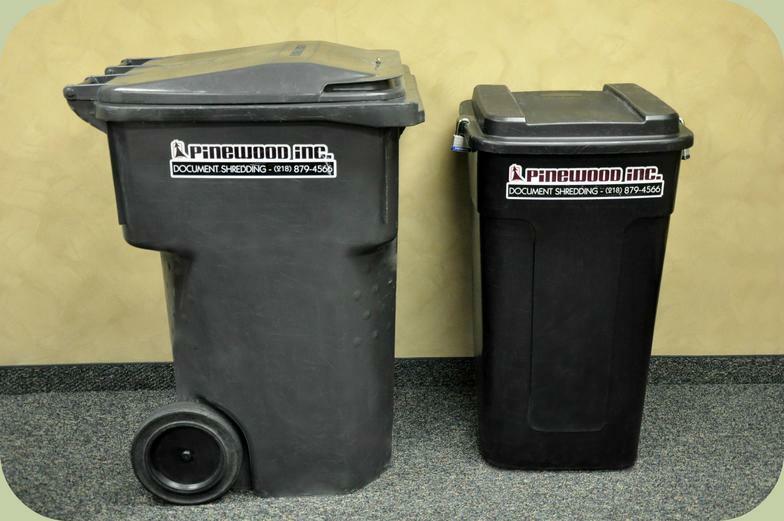 Drop off your material at either of our sites, M-F, 8am - 4pm. Dimensions: 36" x 19" x 19" (other sizes available). One-way front-loading feed slots to prevent access to your material before its shredded. Neutral color blends with any environment. No need to separate out staples, paper clips or other binders. We handle everything! All cabinets provided at no additional fee. Dimensions: 40" x 24" x 24" (64 gal), 46" x 27" x 35" (94 gal) (other sizes available). Perfect for mail rooms, store rooms or copy rooms. Top loading for large scale disposal. Extremely durable and wheeled for ease of maneuverability. All containers provided without additional fee. All manner of material accepted. Paper (any type, size or thickness). Imaging material (diagnostic x-ray film, negatives, microfiche, aperture cards, film reels). Identification/banking (credit cards, driver’s licenses, passports, ID tags, photos). All shredded material is completely recycled (over 1.2 million lbs. to date!). Certificate of Destruction provided upon completion. For more information, please contact our Employment Services Manager at (218) 879-4566, or send an email to admin@pinewoodinc.com.